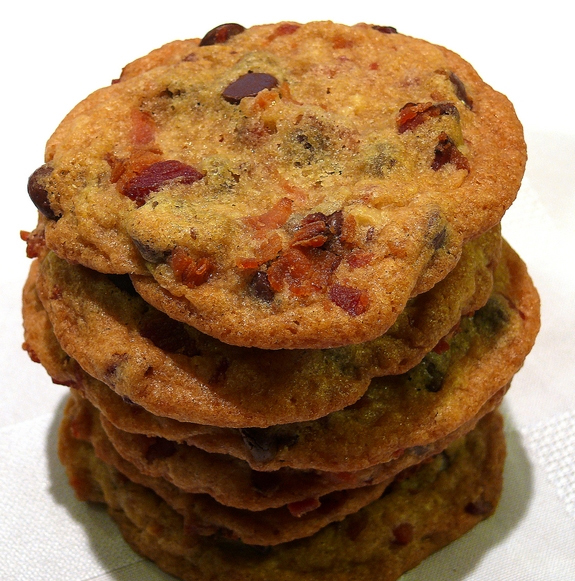 The first time I had bacon chocolate chip cookies was at a “bacon party” in college. They served bacon old-fashioned’s, bacon explosions, and these cookies. The explosion was something I could get behind, but bacon cookies? A savory breakfast food is not supposed to mingle with a dessert. They’re like…the first and last meals of the day. They may not meet! But I was very wrong. I tried one, and I never looked back after. The savory and sweet combine very nicely. If you’re skeptical (as I was), think about maple syrup on bacon. 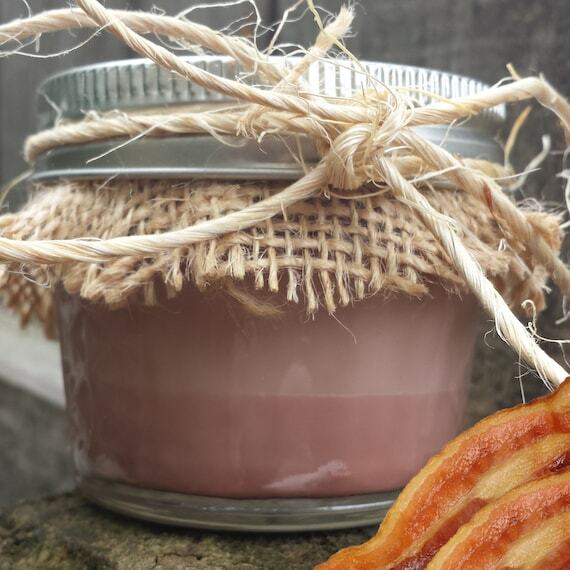 It’s best to think of adding sweet to bacon rather than adding bacon to sweet, if that makes sense. Brown sugar bacon is just fine, and these cookies are similar…just with more emphasis on the sugar part. In a large pan, cook the bacon to a nice crispy texture. When you’ve got a good crisp going, drain them on a paper towel as usual. Strain the fat with a fine sieve. You need about 1/2 cup, but strain until you’re done and just pour the rest into another container to use later. Put all the fat in the fridge; you want it to congeal and set for this. Combine flour, baking soda, salt, and baking powder in a mixing bowl. beat the butter, bacon fat, granulated sugar, light and dark brown sugar, bourbon, and vanilla in a separate bowl until thoroughly mixed. Add your eggs one at a time, beating each one until it’s combined well, then adding another. Gradually beat in the flour/soda/salt mixture. Stir in the bacon pieces and chocolate chips. Ball the dough and put it on a parchment-lined baking sheet at least 3 inches apart. Make the balls as big as you like, however large you want your cookies to be. Bake for 9-11 minutes. Let stand for at least 2 minutes afterward, then let them cool on a wire rack. Don’t jump the gun, it’s best to let them firm up before you get at them! These things will be sweet and savory. It’s pork candy. 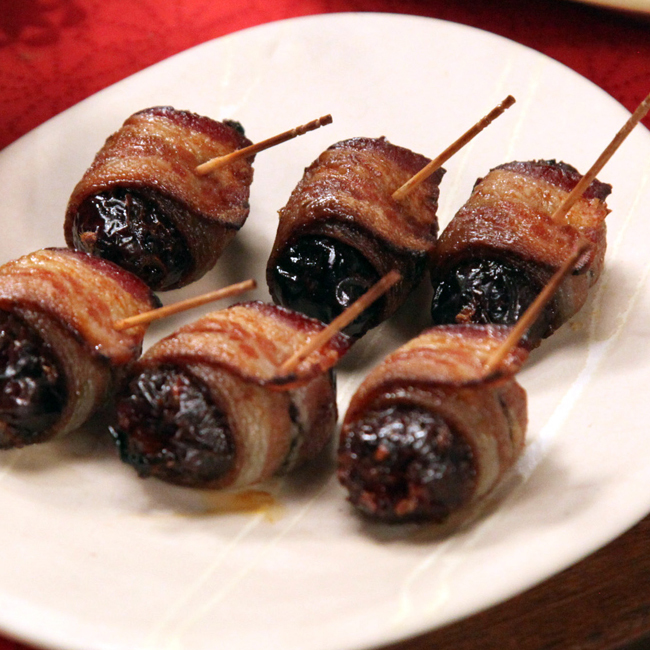 Fairly simple, but extremely satisfying, serve them at a party to impress the hell out of everyone. Heat that oven to 400F, and slap a piece of parchment paper over a baking sheet. Slit each date with a knife. Give it a good surgical cut, like you’re about to remove its spleen; you don’t want to cut the damn thing in half. Cram a chorizo block in there, and pinch the date closed. Now that your date’s been sliced, it’s cold, so give it a bacon scarf. Wrap it up in a bacon third, double wrapping if you’ve got extra long strips. Now impale it with a toothpick like it was an undead Romanian prince – right through the middle. Lay your date-pires to rest on your baking sheet, and send them to that 400F hell you prepared for them. Let them sweat it out for about 5-6 minutes, until the bacon is starting to crisp up. Pull them out, turn them over, and repeat for another 5-6 minutes. By that point, they’ll know you mean business. Now take them out again, brush both sides with maple syrup, and then shove them back in the oven. After 1-2 minutes, your dates should be getting crackly and sticky (which takes much longer with most of the dates I’ve been on). Take them out and serve them hot, with the toothpicks in (or the bacon will come undone).